Saying John Isner was the obvious favorite coming into Sunday’s BB&T Atlanta Open singles final at Atlantic Station may have been the understatement of the year. The top seed has made the tournament's Stadium Court the last two years and through his first three matches in Atlanta. Isner continued to live up to this dominance in Sunday's championship match by needing less than an hour to defeat a hampered Marcos Baghdatis, 6-3 6-3. The match was the fifth ATP World Tour final of 2015 in which both competitors were over the age of 30. Isner landed 71% of his first serves and didn't face a single break point throughout the match, only losing three points on serve in his nine service games. Baghdatis took an injury timeout in the second set, but it did little to disrupt the momentum of the match. A lone break of serve was all Isner needed to lift the 10th title of his career and his third straight in Atlanta. The victory was also the first title of 2015 for Isner and allowed him take the early lead in the 2015 Emirates Airline US Open Series. "I felt great out there and I kept getting stronger and stronger," said Isner. "I feel fine physically and I have some confidence going forrward. I'm back in the United States...it's exactly what I need." 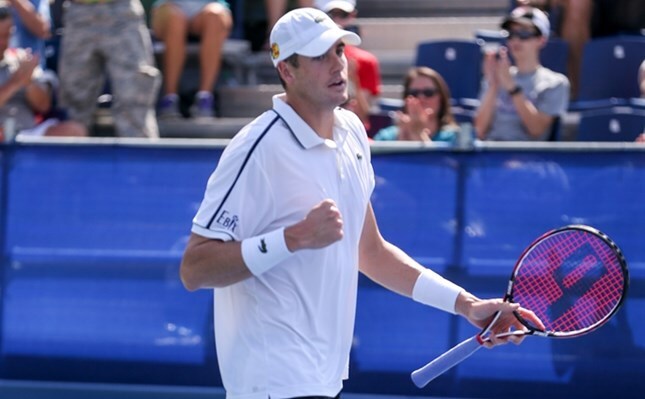 Isner has often said that the BB&T Atlanta Open is his favorite event because his parents drive down to watch and he has a legion of Bulldog fans barking in the stands. Not only that, but the American is also able to have his English Cocker Spaniel, Magill, around for the week"